Product categories of Aluminum Die Casting Products, we are specialized manufacturers from China, Aluminum Die Casting, Die Casting Products suppliers/factory, wholesale high-quality products of Die Castings R & D and manufacturing, we have the perfect after-sales service and technical support. Look forward to your cooperation! Aluminum Die Casting is a metal forming process in which molten aluminum metal is put under pressure and injected into a die. Aluminum Die Castings are lightweight alloys that have good corrosion resistance, mechanical properties, high thermal and electrical conductivity and strength at high temperatures. Aluminum alloys possess high dimensional stability for complex shapes and thin walls. 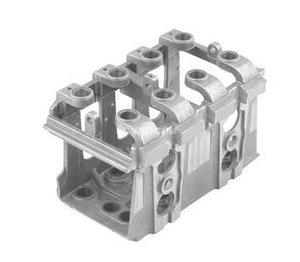 Aluminum Die Casting is efficient and economical and offers a wide range of durable shapes and components. Little or no machining is required after a part is die cast, because the process provides very close tolerances for even complex shapes. Aluminum die castings can also be easily plated or finished. 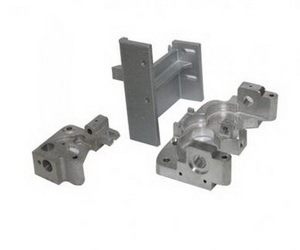 Aluminum die castings are dimensionally stable and heat resistant. 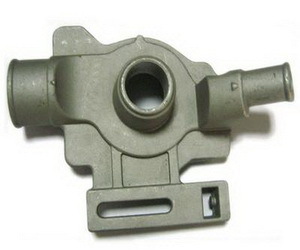 Aluminum Die Casting Parts also can be manufactured aluminum die-cast Auto Parts, aluminum die casting automotive engine fittings, aluminum die-casting engine cylinder, aluminum die-casting gasoline engine cylinder cylinder head, valve rocker of aluminum die casting, aluminum die-casting valve bearings, aluminum die-casting power accessories, aluminum die casting motor end caps, aluminum die casting housing, pump housing of aluminum die casting, aluminum die casting construction accessories, decorative accessories of aluminum die casting, aluminum die casting fence accessories, aluminum die-cast aluminum wheel, etc.